I love sharing with civic and school groups! In the last two or three months, I have probably visited ten schools and a precious senior citizen group. I have thoroughly enjoyed my time with them. At this juncture, I have two presentations available. 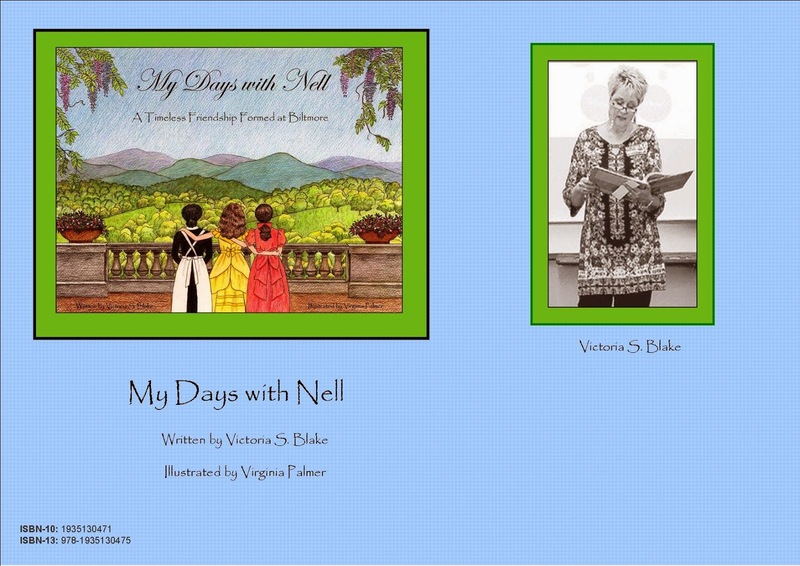 The first one targets elementary students in grades 3-6 and shows how I used the five steps of the Writing Process: Pre-Writing, Drafting, Revising, Editing and Publishing in the publication of "My Days with Nell." I also have a presentation based on the extensive background research I did while preparing to write, "My Days with Nell." It primarily presents interesting information about the Biltmore Estate and the family of George Vanderbilt. If you are interested in hosting an "Author Day" at an elementary school or if you would like me to speak to your group, please contact me. I can be reached at vblake1012@gmail.com. Thank you, and I look forward to hearing from you and sharing my love of all things Biltmore!